Now that the colder months are upon us, the use of portable appliances will become more and more frequent as we deal with the changing weather conditions. No matter what type of appliance you’re using to cope with this winter season, you need to make sure it is safe. Check out our portable appliance safety tips now. A portable appliance is a type of electrical equipment that can be plugged in and easily transported around the space – as apposed to fixed appliances (like fridges/washing machines/etc.). Popular winter appliances include heaters, dehumidifiers, electric blankets, heated clothing racks, and cooking equipment. Here are some important things to consider if you are using the following appliances in your home or workspace. Whenever you use a portable heater, make sure it is plugged directly into the wall outlet. This will reduce the chances of the circuits overheating and causing a fire. If you have to use a power board or extension cord, make sure that the maximum current rating matches that of your appliance. You can find out more information here. 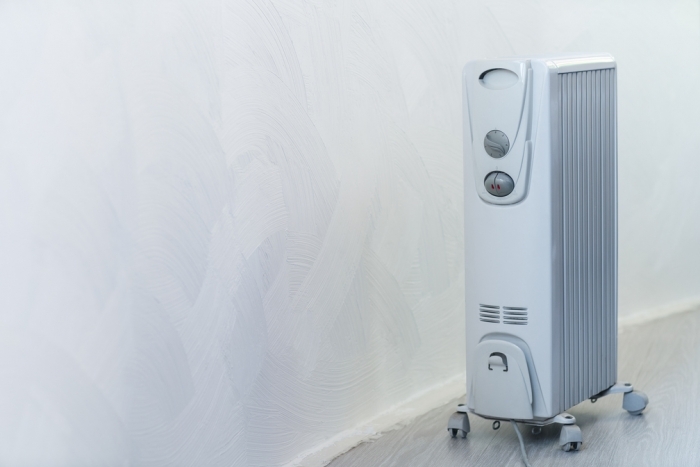 Whether you’re using an oil, fan, or ceramic heater, make sure it is placed far away from any flammable materials and switched off when you are not in the room. If you are using a portable heater at home, don’t sleep with it on. Electric blankets are one of the most common causes of fires during the colder months.If you’re using an electric blanket, you should make sure that it is less than 10 years old and made by a reputable manufacturer. Don’t leave the blanket on if you’re not home and don’t sleep with it on. You should always plug your electric blanket directly into the wall to avoid electrical fires. If you’re finding that you’ve been using your kettle more frequently over the winter months, just be careful that it has not suffered wear and tear from overuse. If you can see any visual damage to the cord (or if your kettle frequently trips the RCD) it is not safe to use and you should replace it immediately. If you own or operate a business that uses portable equipment, please contact us today. We can make sure your business is on top of winter portable appliance safety by inspecting your equipment for damage. When it comes to safety, you can’t be too careful. Call now on 131 546 for a free quote.